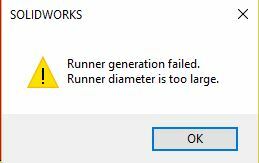 When trying to mesh a runner system with the part in SOLIDWORKS 2016, you may end up getting errors that don’t give you a clue to what is wrong. 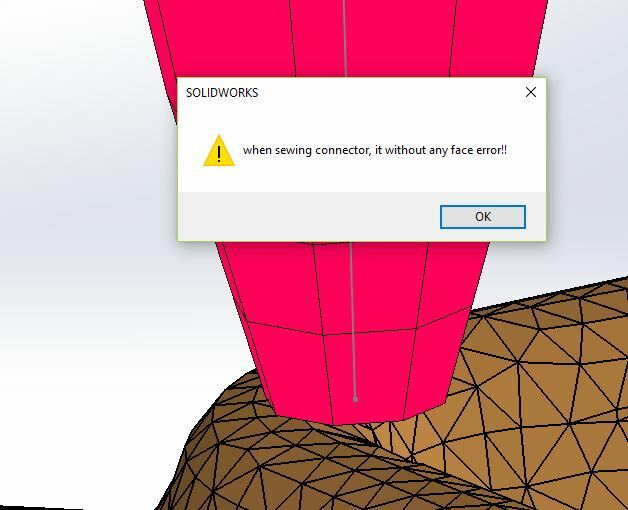 For instance, take a look at this message: when sewing connector, it without any face error!! This message came up when I was creating a solid mesh. Not sure if the message is a direct translation from another language but it doesn’t give you any direction on what is causing it or even what to change. I had to follow some logic in this situation. 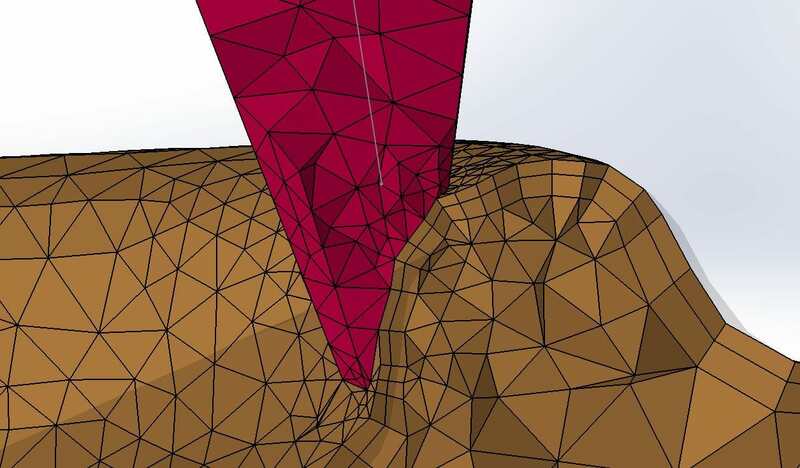 Seeing that the runner mesh was not blending into the solid mesh of the part, I decided to reduce the runner diameter. According to the picture this works and I can continue with the analysis. However this isn’t a good solution. You shouldn’t be forced to change the physical parameters of your design to make the analysis work. It should be the opposite, the software should change to accommodate the real world. With this in mind, you are able to model the hot and cold runners to make the analysis more accurate.